Watch the Video: Sailing to Australia: Our Fastest Passage EVER! 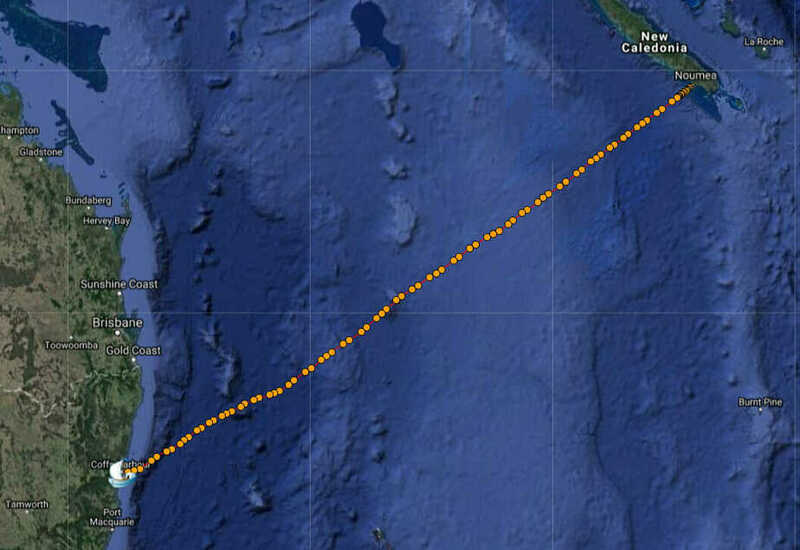 We hustled our butts and got out of Noumea before noon on Monday the 27th. Several boats had left for Australia over the previous days, but we couldn’t clear out over the weekend. We got our errands done and took off. It was about 12 miles to the reef exit, and the almost SE angle had us sailing close hauled with reefs for about two hours. 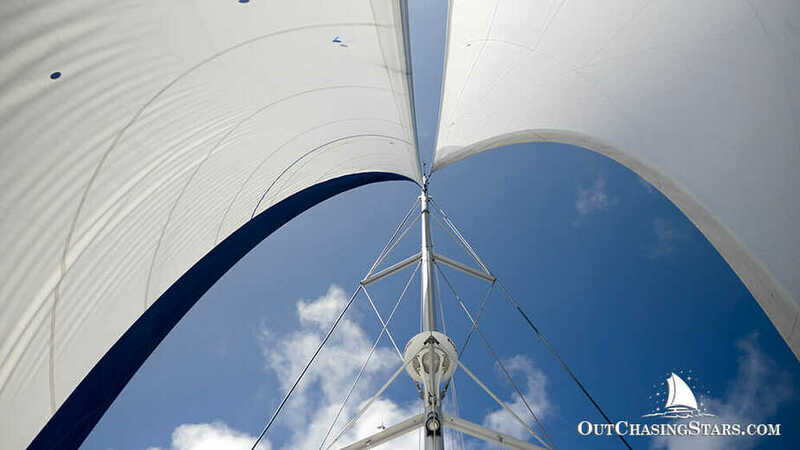 Once we exited the pass we could point more downwind and set the sails. The winds were about perfect on this passage. For three days, the wind was just aft of our beam, and mostly between 12-15 knots of apparent wind speed. 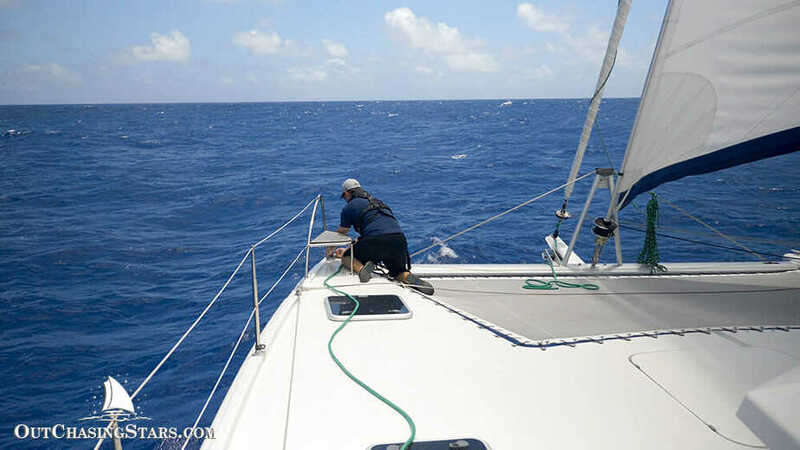 Consequently, we had the screecher up for a majority of the passage,sometimes putting it on the windward bow. Our first three days, we averaged 8.25 knots! Our average speed for all of our major passages has been 6.75 knots, so we blew it out of the water! After 72 hours, the wind started to shift a bit more to the north, making the wind come from directly behind us and we had to move to wing on wing a little bit. This means our AWS (apparent wind speed) dropped, and so did our speed. 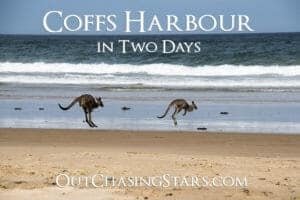 We made our way into Coffs Harbour at 4 am, and dropped anchor. Even with the slower days, we averaged 7.76 knots over 877 nm and 113 hours. 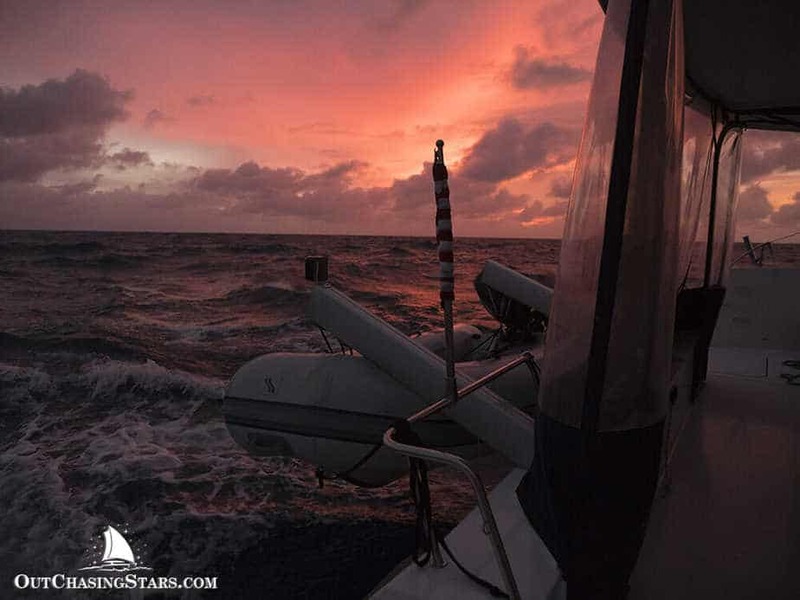 Our fastest passage previously was sailing Grenada to Panama, and we averaged 7.45 knots. David setting up the tackline for the screecher on the port (windward) bow. Dual headsails, wing and wing configuration. David captures the sunrise on passage. 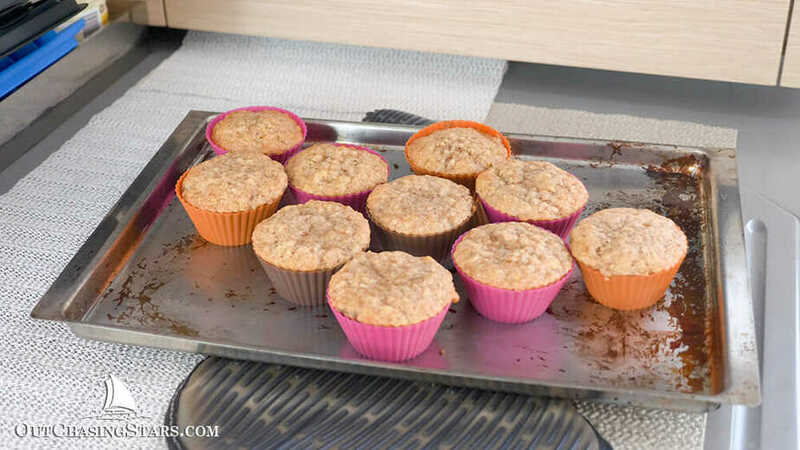 I made two batches of banana muffins on this passage – a favorite breakfast and snack for these star chasers. On our way down we emailed Coffs Harbour International Marina asking for advice for clearing in. Unfortunately they were less than helpful via email. I don’t know if they misunderstood what I was asking, but they didn’t answer my questions (twice) and also sent us emails with large attachments that we were unable to download via our sat phone, even though we told them not to (twice). So, we weren’t really sure where exactly to go and how to get in touch with Customs. That is, somewhat, my fault for not doing the research before hand and downloading the information from Noonsite. We wandered around in the dark at night to find a place to anchor. There are two free “24-hour” moorings, but they were both occupied, so we anchored out and got back to sleep. In the morning, we contacted Marine Volunteer Rescue on channel 16 who contacted Customs for us. Normally, during regular business hours, Customs monitors channel 16. MVR called us back and told us we HAD to be between the wharf and the marina, as that’s the “quarantine” area. With two boats on the moorings, there wasn’t much room to anchor. While we picked our spot, heads popped up from the catamaran on the mooring – Jack and Marce from Escape Velocity! I’ve been following them for years, so we got to say hi and make plans to really meet later. No sooner had we set the anchor down then Customs called us and told us to come into the marina to check in. Up anchor again we go, and into the Coffs Harbour International Marina. Despite the 17 knot north wind, the breakwater allowed us a very smooth docking process and customs was already there to meet us. Our two officers, Dean and Darius, were amazingly friendly and helpful, even though we’d pulled one of them off the golf course for our after hours check in. The officers did three main things: 1) paperwork 2) inspect “timber” on the boat, of which we have very little and 3) inspect our food. All fresh produce was taken, but cooked veggies I could keep. Eggs and meat were taken, of which we had very little. Cheeses, NZ honey, wood carvings from Fiji, shells from around the world….all good. Lucky for us we could stay in our slip, as the winds picked up that night, and I’m sure the swell out in the anchorage was not terribly fun. This was our first marina stay since New Zealand back in April! 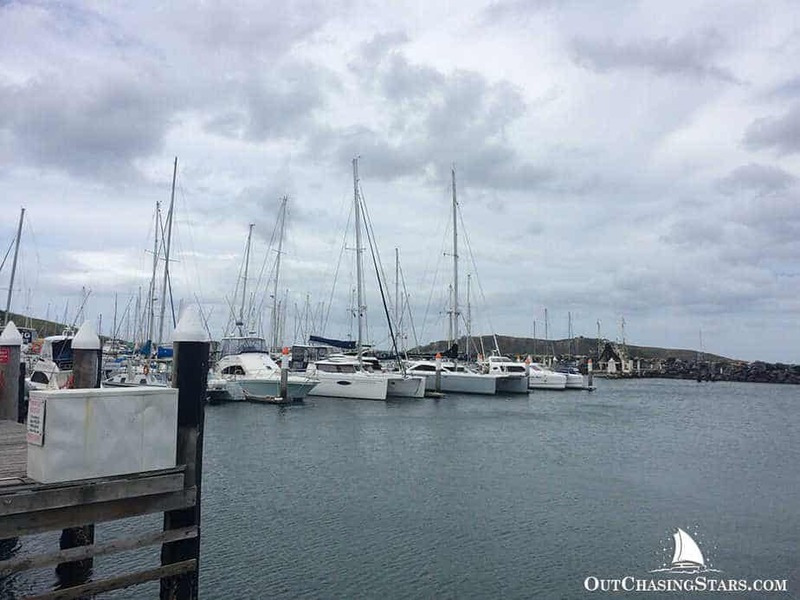 In the season, we tried to dock at a marina twice (Denarau and Noumea) but they were full up. I have to say, we did not miss the marina life. However, we had some cleaning to do so staying in the marina for a few nights made sense. Per usual, high on our priority list was getting internet. We looked at Telstra, and made the mistake of buying a SIM and credit, but the SIM activation took 24 hours and somehow we ended up on a different package then we wanted and couldn’t change it. Phone calls to Telstra were unhelpful. We found free Vodaphone SIM cards at the Jetty Shopping Center and were able to set up a plan in 15 minutes for unlimited national texts and calls plus 12.5 GB of data for 35 days at $40 AUD (about $2.50 USD per GB). That was the smallest plan, and gives us all the data we NEED, but perhaps not all the data we want! 😉 We’re still working on a data-only package for our router. There’s plenty in walking distance from the marina, although the nearest grocery store is closed, and the next closest is a half an hour walk. However, there’s a chandlery, fish market, and laundromat in the marina, plus a bakery, butcher, bottle shops, and tons of restaurants on Harbour Drive. The marina staff was very helpful and was able to receive a package for us, even after we’d moved to the anchorage. Cooking gas bottles can be arranged for a refill at the marina. There is room in the bay to anchor, but usually the swell is coming in from the east, and the anchorage is particularly bad. 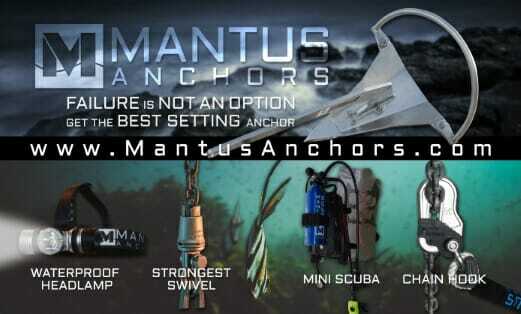 We attempted to anchor one day with winds of less than 10 knots, but found it untenable and came back inside. The two free moorings fare a little better, but not too much. We want to say a big thank you to David Moran who mailed us cruising guides to borrow for New South Wales and Queensland. That’s not the only kindness we’ve received; a random stranger at the boat shop gave me a ride to the camping store and back for more gas bottles. We’ve also got to make some new friends around here. I was VERY excited to finally met Marce and Jack from Escape Velocity. 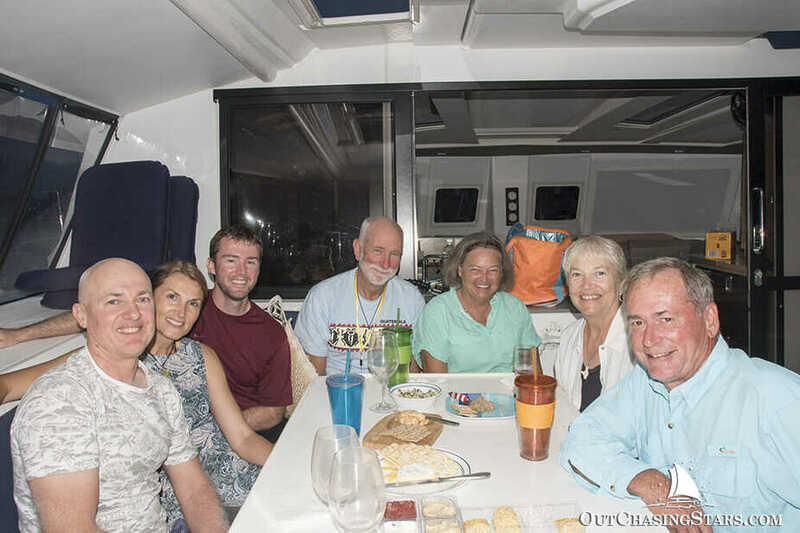 I’ve read their whole blog and have found their writing to be very interesting for cruisers – informative with a good mix of boat work and adventures. We also met another American couple, Susan and Mark on Erie Spirit. Our neighbor on the dock one slip over is a beautiful Grainger Catamaran named The Countess, and the owners Paul and Deb have been very welcoming and helpful, even taking us on an adventure! We got to meet Greg and Julie, who have been following our videos and are Aussies passing through Coffs. And finally, our last day in Coffs, our friends Jeff and Tatiana pulled up next to us at the dock. Despite the fact that’d we’d been cruising the same countries at the same time for the last year and a half, this is the first time we have seen them since Moorea! Left to right: Greg, Julie, David, Jack, Susan, Marce and Mark! Starry Horizons safe and snug in Coffs Harbour Marina. 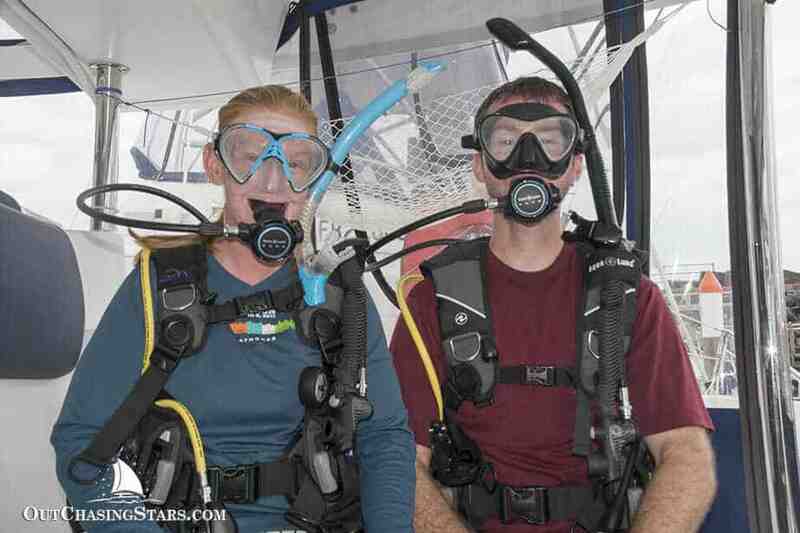 We bought dive gear! Probably won’t get to use it for a few months…. Still eating the tuna we caught in New Caledonia. Pied Cormorant at the dock. 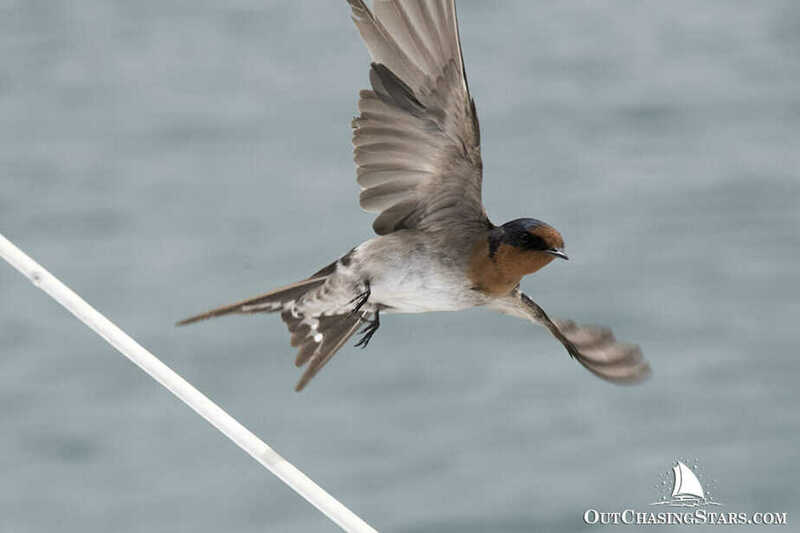 Chasing welcome swallows off our boat again. Now, off to explore Coffs Harbour! 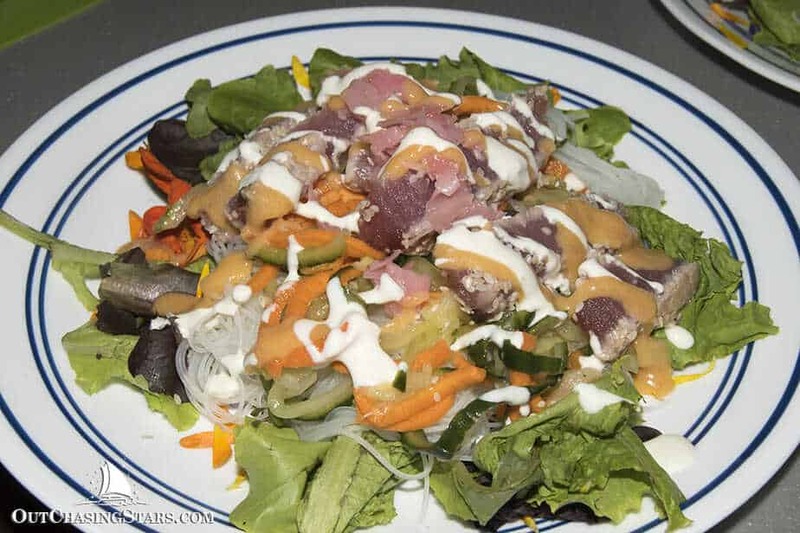 Beautiful presentation on the salad, Amy – and fabulous pictures of the birds! We did get an OVO since, but haven’t activated it yet. Using up some “mistakes” first. I thoroughly enjoyed reading about your passage – as with all of your posts. I was wonding if there is a charge for the meeting on Friday evening? Thanks Christopher. No charge for the event Friday. Just some good conversation and hopefully good food. Thanks Amy, – I look forward to meeting you on Friday. Great little post! Hmmm….what do they sell at the bottle store?